Nelly knows what he’s talking about! One way to prevent overheating when exercising in a hot environment is to expose as much skin to allow for evaporation. Yes take off your clothes (but don’t get naked!) as you want your sweat to evaporate to lower your skin temperature. What else can you do to heat proof your run?Sharing Five with you! Disclosure: This post contains affiliate links. It simply means if you choose to purchase the items via the link provided, I will receive a small percentage of $ for referring you to the site. Thanks for your support! The average core body temp of an adult is 98.6F (37C). When it’s hot outside, our bodies regulate its core temp through sweating. The hotter it is, the more blood is diverted from the working muscles to the skin for cooling which significantly affects performance. Therefore, it would help if we start out at a lower core temp before heading out. Simply drinking water with ice can do the trick. I step it up a notch by adding a Nuun Hydration tablet to optimize fluid absorption. However, it’s actually better to have a ‘slushy’ drink which I haven’t tried yet but plan to do on my next hot run! Kayla of Reviews.com pointed out several misconceptions about sunscreens based on their research. “Such as, did you know that anything higher or lower than SPF 30 isn’t actually effective? And that you should forget spray and powder sunscreens? And regardless of how good the sunscreen is, you really do have to reapply every 1-2 hours to be fully protected.” After evaluating 135 different sunscreens, Reviews.com narrowed it down to four options. What I liked the best about the review was they left out the ones with harmful ingredients. I pack frozen wet wipes in a ziploc bag inside the pocket of my water bottle. I’ve tested it twice and was effective in cooling off my skin with a few wipe downs. What also worked was re-wetting the wipe at a water fountain and placing it on my head under my hat. I didn’t realize it was sticking out of my cap until I saw the selfie I took. No wonder why the couple I passed on the trail had odd look on their faces. What is sticking out of my hat?! Another no-brainer for hot weather is to hydrate properly. And I finally had the chance to try the newly-released Nuun Performance on my long run last weekend. I selected the orange-mango because I like tropical flavors and it actually reminded me of a lighter version of a mango drink I had growing up in the Philippines. I don’t carry additional fuel for runs less than 2 hours. 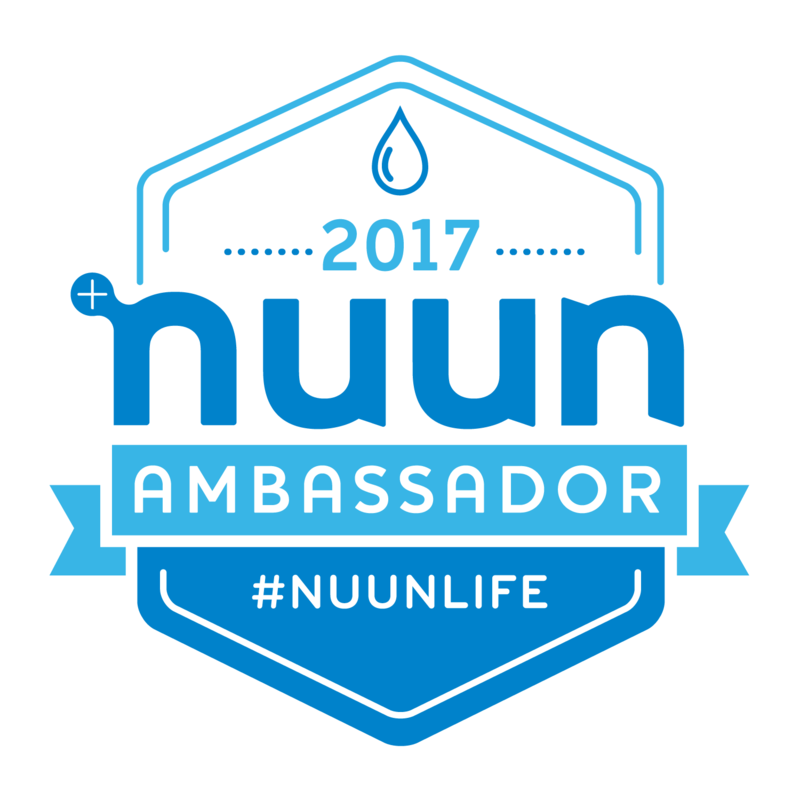 While Nuun Performance’s purpose is optimal fluid absorption, I felt the small amount of carbs powered me through my run. I learned from Dr. Stacy Sims at a Nuun seminar that the best type of recovery food is nonfat Greek yogurt. According to Dr. Sim’s, women’s recovery needs differ from men’s and they require more protein (2:1 ratio) for recovery within 30min of the workout (check out my review of Dr. Sim’s book, ROAR: How to Match Your Food and Fitness to Your Unique Female Physiology for Optimum Performance, Great Health, and a Strong, Lean Body for Life .) Greek yogurt has the appropriate carb:protein ratio plus all the essential minerals – potassium, sodium, calcium and magnesium our body needs. A cold Chobani Greek Yogurt drink packed in an insulated bag with ice packs was waiting for me at the end of my run and it hit the right spot!! It cooled me down and didn’t bother my stomach at all. My daughter’s lunch bag came in handy! Do you have other strategies to share that I can try? How do you select your sunscreen? What is your go-to recovery food/drink and do you take it within 30min of your workout? I always pre-make my Gatorade. When I get back from hot runs, it’s already waiting for me in the fridge! But I def need to try these other tips too! Great tips! I usually jump in the pool after a long, hot run. I have read hot baths help to acclimate you to hot runs. If i’m anywhere near the beach or bay, I’d wade in the water to cool off too! great tips! I have the same weather you do here in Central Florida. I did not know about drinking ice water first- I am going to try it! Thanks! You may have it worse when it comes to humidity and the heat sticking around all night. I’m thankful it cools off to around high 50s after sunset. We haven’t had much heat here in NH yet but love these tips. I love the idea of having a cold slushy drink before you head out! I’m trying to channel some of these warm/hot thoughts as I listen to the 30mph winds howling on this damp 35 degree day — hard to think of summer! That being said, I love these tips! I especially love the sunscreen suggestions and plan to purchase the MD Solar Sciences to test it out for running. I struggle with the right formula (sweat is the main culprit), so I’m going to try this one! Thanks Megan – good to hear you found the sunscreen reviews helpful. I recently tried the Alba sunscreen and like it so far. These are all great tips! I will have to try the one about drinking ice water before heading out! Its supposed to feel like summer here today (the high will be in the 90s!) so the timing of this post was perfect. I love the idea of frozen wipes. I’ll have to give that a try! Great tips! I can’t wait to try the new Nuun but it hasn’t arrived in Canada yet so I’ll have to wait a little longer. Great suggestions! Its not too warm here yet but Im sure the heat is right around the corner. I drink so much Nuun in the summer! Been drinking plenty of Nuun lately too. Glad they also have the vitamins for everyday use. I love the frozen wipes idea! I have ZERO appetite when I finish a long run, no matter the distance or temps. I know, my bad. I don’t feel like eating anything until at least an hour afterwards, so I have to force the food on myself. I understand some people have more sensitive stomachs. The frozen wipes is so smart! Definitely going to remember that when the temps warm up here. Since I had melanoma and basal cell skin cancers, I use Elta sunscreen that I get from my dermatologist. It gets really hot down here in south Mississippi too. Appreciate the tips! I read your post when you mentioned being a cancer survivor. I wonder the difference between a prescribed sunscreen and the ones that are widely available. Thank you! Baby wipes are so versatile. Great tips! I’ll need these now that I’m running in Texas. I fill my Tailwind bottles with crushed ice before I head out. It’s amazing how fast it warms up tho! Please send that warm weather my way! Yes the frozen wipes do not stay that way for too long but it helps with cooling off my skin. I like the idea of the frozen wipes I freeze towels and leave them in my car for afterwards. I keep finding other uses for baby wipes so even though the kids don’t need them I still end up buying some. Hope it cools you off as it’s worked for me!